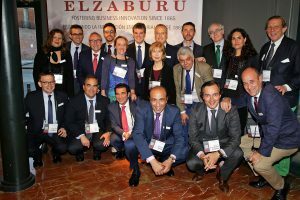 It is extremely difficult to describe in just a few short lines the number and kind of the many different echoes of the Barcelona INTA Meeting resounding within the ELZABURU Firm, which celebrated its 150th anniversary less than two years ago. 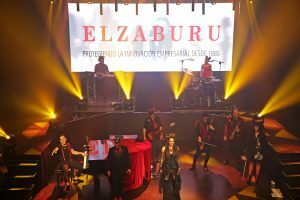 This was the first time ELZABURU has had the pleasure and the responsibility of organising a social event at INTA and thus also the first time all of us, who are part of the Firm, have endeavoured to bring together, host, and entertain so many friends, colleagues, and associates in our midst. That may be why we tried to offer them all something different, something special, something unforgettable this past 20th of May. We strust we succeeded. Most importantly, the Barcelona INTA Meeting was also the first time our country has had the chance to host one of the largest and most far-reaching events in the intellectual property sector. What more could anyone ask?. All that remains is for us to express to the INTA Board our appreciation for the confidence it has placed in Spain; to one of our country's most emblematic cities, Barcelona, for its sunshine, its joie de vivre, its people, and its cosmopolitan vibes; and, last but not least, to all those who have been placing their confidence in the dependability, professional excellence, and forward thinking of the ELZABURU Firm. Great to see that a developing country like Thailand stepping up with developed countries. Entering the Madrid protocol was a great decision in my opinion.